The 7th edition of the International Packaging and Printing Exhibition for Asia returns with four thematic zones, and an enhanced product range reflective of industry movements. 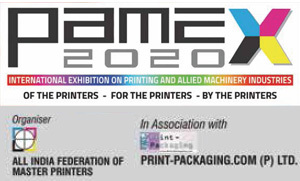 Packaging and printing innovations and new technology will come under one roof at the next edition of PACK PRINT INTERNATIONAL, taking place from September 18–21, 2019 at BITEC, Bangkok, Thailand. A tripartite collaboration between Messe Düsseldorf Asia, The Thai Packaging Association and The Thai Printing Association, PACK PRINT INTERNATIONAL, modelled after No.1 global trade fairs in their respective sectors – drupa and interpack, will mirror latest trends in thepackaging and printing markets at its 7thand latest instalment. 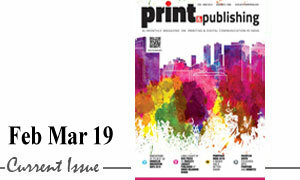 According to Profshare Market Research, over the next decade, the packaging industry will witness a significant revolution as the applications of digital printing increases, while the global digital printing packaging market will record a growing CAGR due to bigger need for effective, low cost printing technology with aesthetic visual graphics for consumer goods. In particular, corrugated inkjet will drive growth in the ‘digital print for packaging’ market, with future expansion resting on less-developed packaging formats such as corrugated board, folding cartons, and flexible plastics. Asia-Pacific currently holds the largest share of the digital printing packaging market at 42% and is expected to witness the highest growth through to 2025. In tandem, print processes that will grow relatively fastest over the next 12 months include wide-format digital and inkjet, and digital toner based, alongside fast growing print market segments of packaging and specialty packaging, labels and wrappers, signage, direct mail and point of purchase. One-Stop Pack & Print Pavilion (Award-Winning Showcase | Free Consultancy Services | Trade Associations & Industry Alliances): An exclusive platform for packaging designs, packaging end users, material suppliers and machine manufacturers to present a powerful showcase that represents the dynamic packaging and printing ecosystem. Labelling Zone (Smart Labels | Flexo Presses | Inspection System | RFID): Asia, the largest producer of labels, is expected to grow to over 40% of the world’s value through to 2020. This dedicated zone will showcase the end-to-end functions of the label market, including latest label technology, new materials, adhesives and manufacturing application methods. Logistics & Automation Zone (Material Handling | Smart Factory | Robotics | IOT | Industry 4.0 | Collaborative Manufacturing): Dedicated showcase on the latest robotics solutions and live machinery that will bring greater efficiency, productivity and value to packaging workflows through intelligent networking and automation. 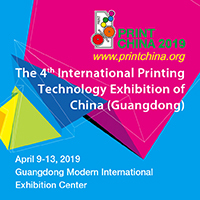 In addition to the thematic zones, the 4-day exhibition will also zoom into areas such as package printing, prototyping, corrugated printing and packaging, labelling, digital printing, electronic printing, large format printing, flexible packaging and robotics. As well as presenting a broader exhibit range of technology, machinery, products and services to serve the entire packaging and printing value chain. Co-locating with PACK PRINT INTERNATIONAL 2019 is T-PLAS 2019 – the International Trade Fair for the Plastics and Rubber Industries. Together, the synergistic collaboration of the two exhibitions will serve as a one- stop platform for the industries, and for participating companies to springboard into the region’s key markets.